Join us for 90 mindful minutes of pure joy & relaxation to an eclectic mix of music, laughter & movement. 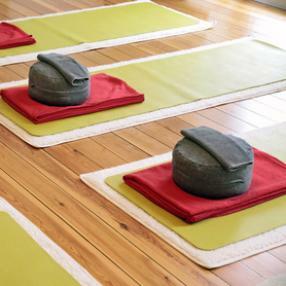 Enjoy a slow yoga flow & restorative postures supported by props for deep peace and release. A creatively sequenced vinyasa class that is based on alignment. This challenging class uses unique transitions between postures, that will bring an awareness to your core while creating a deeper connection with yourself.